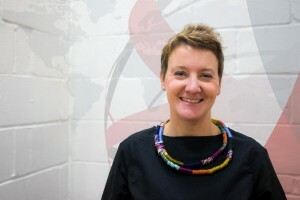 Cinzia Brentari is a Senior Advisor/Programme Manager at Harm Reduction International, providing technical guidance and support to the Human Rights and Justice team, and Public Health and Social Policy team. Cinzia holds a degree in law and criminology. She has developed specific expertise on European policies, advocacy and networking on harm reduction in the criminal justice system. Within this sector she has coordinated research, organised events, trainings and capacity building initiatives, thus bridging expertise between civil society and the institutional sector. Cinzia is a member of the Correlation European Harm Reduction Network Steering Committee and has taken part in scientific committees of international conferences, including the Harm Reduction International Conference, since 2005. She has also contributed to European research and has published for the European Monitoring Centre on Drugs and Drug Addiction, among others. Between 2001 and 2005 Cinzia worked at the European Commission in Brussels in managing development cooperation projects and supporting EU policy development on drug demand reduction. She is a consultant for the European Commission and its Agencies on project assessment, management and evaluation. Cinzia has worked with Harm Reduction International as an advisor and project manager since 2007.